Just in time for the coin toss, we’re here with some ways your Google Assistant can help you prep for game day, as well as some trending recipes state by state. The Google Assistant's recipe feature, available on speakers like Google Home, is a host’s best friend: you can send a recipe straight from mobile search or the Assistant on your phone (iPhone and Android) to your speaker. From there, just say “Hey Google, start recipe,” and you can follow hands-free step-by-step directions as you go. You can also ask questions like “what’s a substitute for chipotle chili powder?” or “how many grams of cornmeal in a cup?” and then go right back to the recipe by saying “Hey Google, next step.” Set multiple timers at once and even name them (cornbread, simmer); listen to music and podcasts to get your game face on. And since the Google Assistant is available across devices, you can keep up with the game no matter where you are. If you’re running late to the party, ask the Google Assistant in your Android Auto car for the score. Walking to the corner store to stock up on snacks? 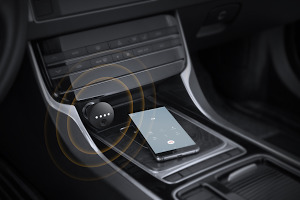 Your Assistant on your phone or headphones will have the latest. And if you’re at home looking to fill the time between plays, ask the Assistant on your speaker to play sports trivia. Whether you’re a Philly fan, a New England diehard or just there for the commercials, good food is non-negotiable. With data from the Google News Lab, here’s a look at the most uniquely-searched game day recipes by state. 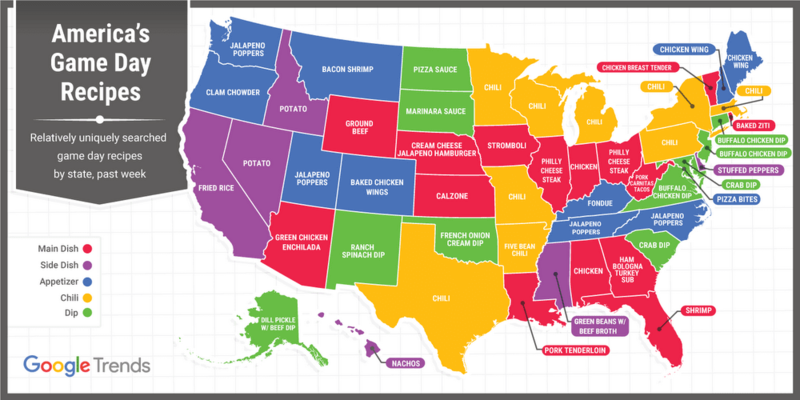 Turns out the two rival teams’ home states are both chowing down on chili, but from “bacon shrimp” in Montana to “calzone” in Kansas to “crab dip” in South Carolina, maybe these unique searches will inspire you to go beyond chips and dip! You can check out more on Google Trends.